Superfoods are more than just a trend right now, they have become a habit for many who aim to eat and live »right« and healthy. 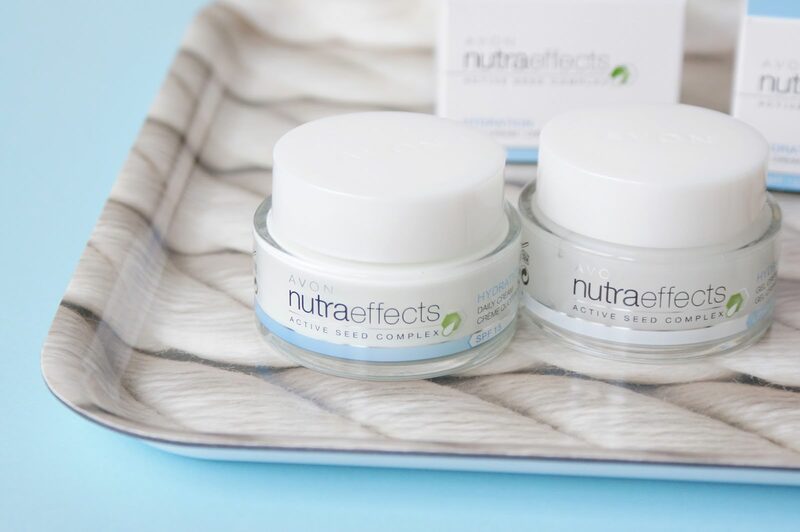 There’s no surprise beauty brands started adding all sorts of superfoods into their products; in principle, they are healthy for your body, why shouldn’t they benefit your skin as well? 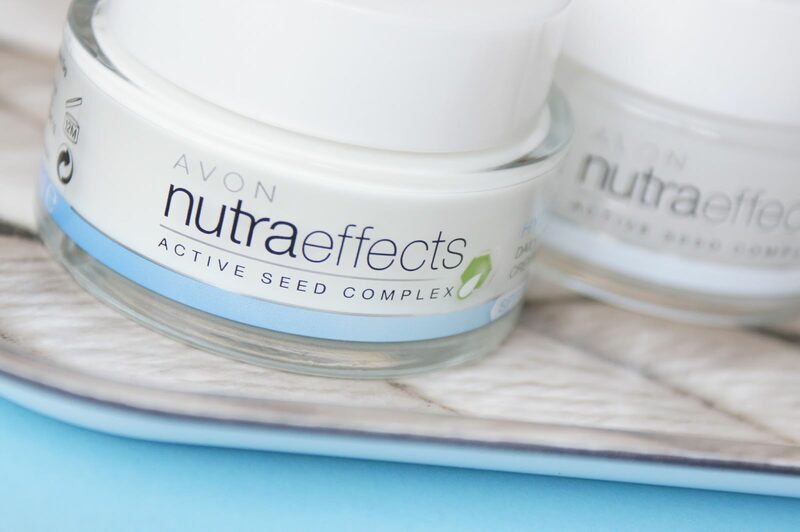 A while ago Avon launched the Nutra Effects skin care range with an Active Seeds Complex, combining chia seeds, Strelitzia extract and pomegranate seeds. There are four lines catered for specific skin concerns: Hydration (normal to dry skin), Balance (oily to mixed skin), Radiance (for dark spots and dull complexion) and Ageless (for fine lines and wrinkles). 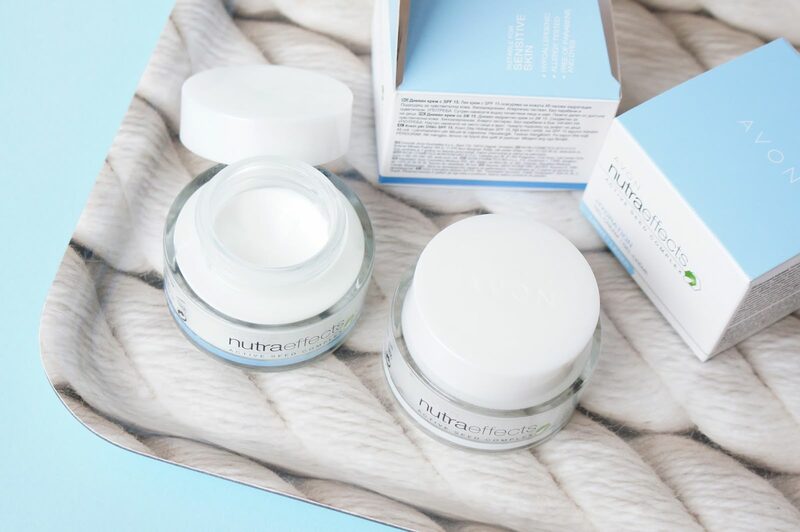 I’ve been sent two creams to review from the Hydration line, suitable for my dry-normal skin type with occasional dehydration. 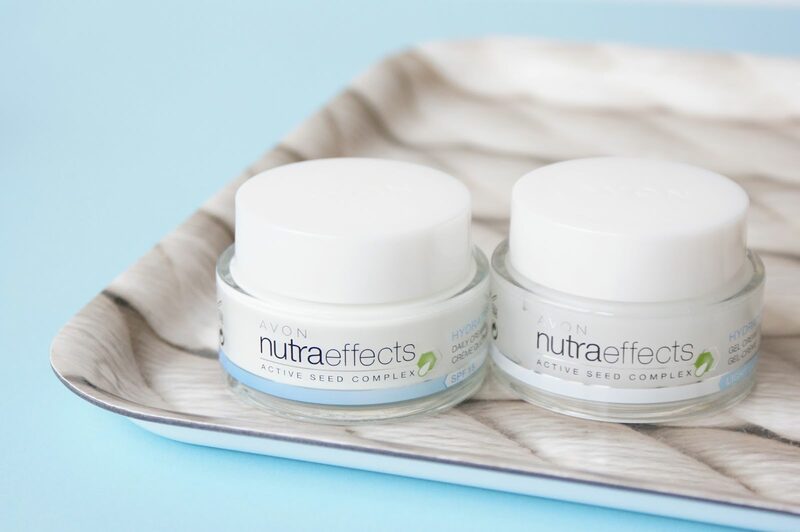 Avon Nutra Effects Hydration Daily Cream with SPF 15 (7,90€, 50ml) is a light protective day cream promising smoother, softer and healthier looking skin. It has a very light texture, therefore it’s easy to apply/spread and it’s quickly absorbing. I read in a few of the reviews it leaves a glow behind, but not my case – I mean, it’s definitely not mattifying, however I wouldn’t call it glowy either. It’s a nice match for my skin, I can see it working well even for combination skin types (while it’s probably not the best for oily ones). I love the fact that it has SPF protection (a rather low one, but still), it leaves my skin hydrated and it’s not irritating. 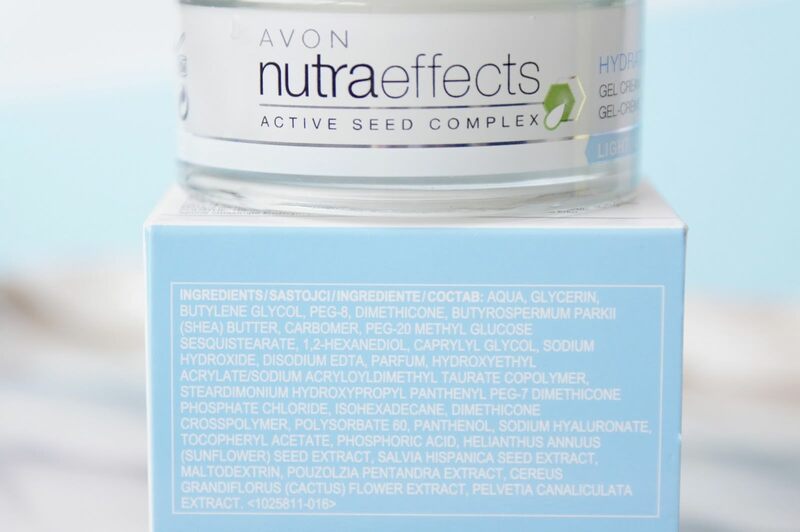 Has a pleasant fresh scent and comes in a heavy glass pot (which is not the most hygienic, at least it looks pretty) and it works great as a base for any foundation. A bargain worth checking out, if you have dry or normal skin! 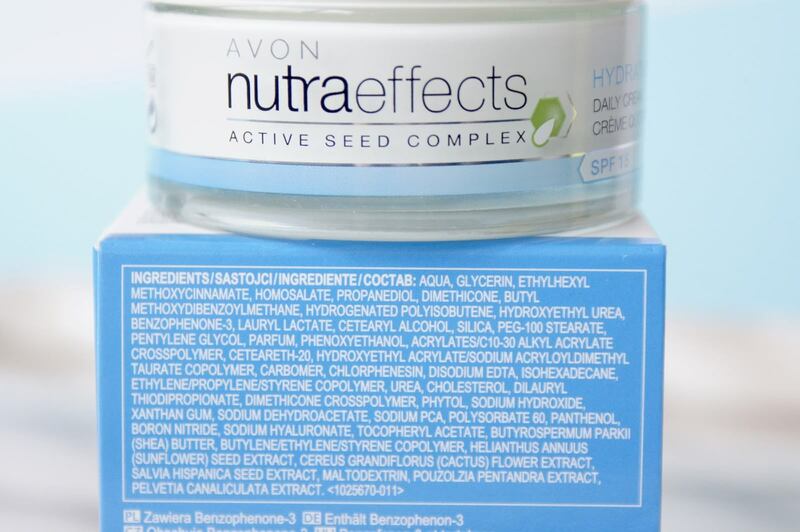 Avon Nutra Effect Hydration Gel Cream (7,90€, 50ml) on the other hand, hasn’t blown my mind. 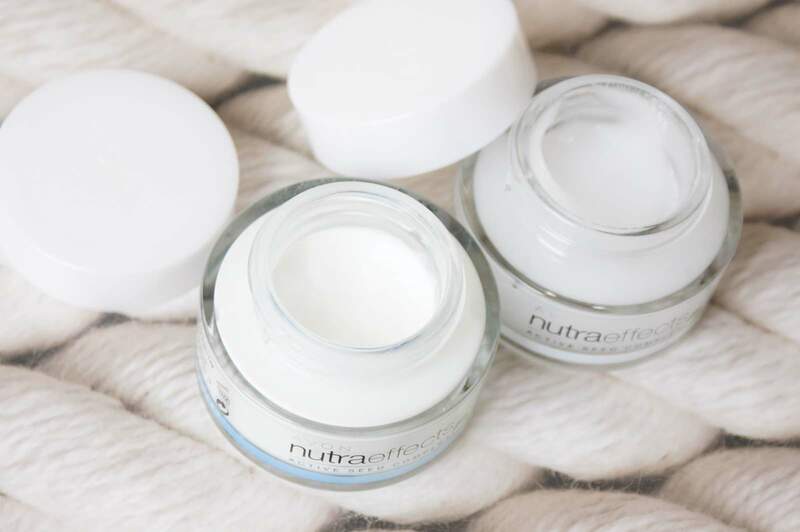 This light gel cream is supposedly perfect for normal and dry skin. It just wasn’t enough for my skin, few hours after application, my skin already demanded more. I passed it on to my sister (who has combination skin) and she finds it »lovely, pleasantly (fresh) smelling and hydrating«. It’s definitely a lighter version compared to the daily one, it hasn’t got any SPF and it leaves a matte finish to the skin. I believe it could work best on normal or combination skin types, especially coming handy in the upcoming warmer months, since it really lets the skin breathe.